Despite a population that quadruples during high summer months and nearby New England travelers who head due North toward the mountains every winter, Newport doesn’t board up its doors and windows come cooler weather. (Anymore, that is.) A few years back, the mansions came out of hibernation, opening up for cold-weather tours and the city has come to fully adopt the offseason. In the fall, Newport hosts a popular marathon and half-marathon, a Boston qualifier. In the winter? A boat parade to kick off the holiday season, which, here, is filled with craft cocktails, roaring fireplaces, and cozy inns. The beaches still remain, and so does Cliff Walk. And winter offers travelers a respite from summer crowds and the opportunity to see a different side of the historic seaside spot. Heading to Newport? Here’s our four-day travel guide. See what this historic seaside spot has to offer. Gurney’s outdoor pool overlooking the harbor, swanky patio space, and poolside bar make it incredibly alluring. And waterfront Italian eatery Scarpetta, the hotel’s locally sourced restaurant, live music, and a hotel shuttle that runs you in and out of town every hour really seal the deal. It’s an ideal spot for people watching, and the hotel hosts its fair share of weddings. 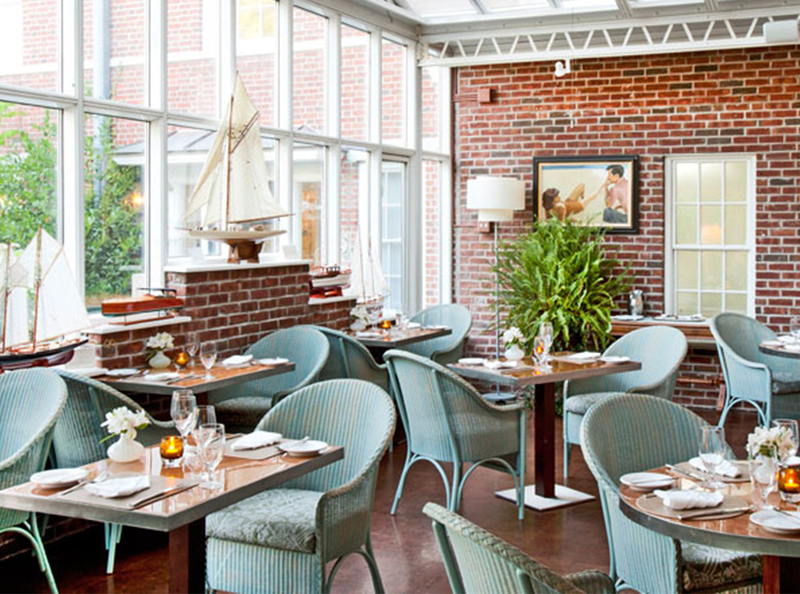 The Vanderbilt Grace is a small, boutique inn (33 rooms and suites) tucked a few blocks back from the water. You can see the water from the rooftop bar in warmer months but you won’t miss it with a fireside cocktail (or playing a game of chess) in the cozy, ground-level Christy Room during the winter. There’s also a spa that offers massage, guided meditation sessions, and reiki. 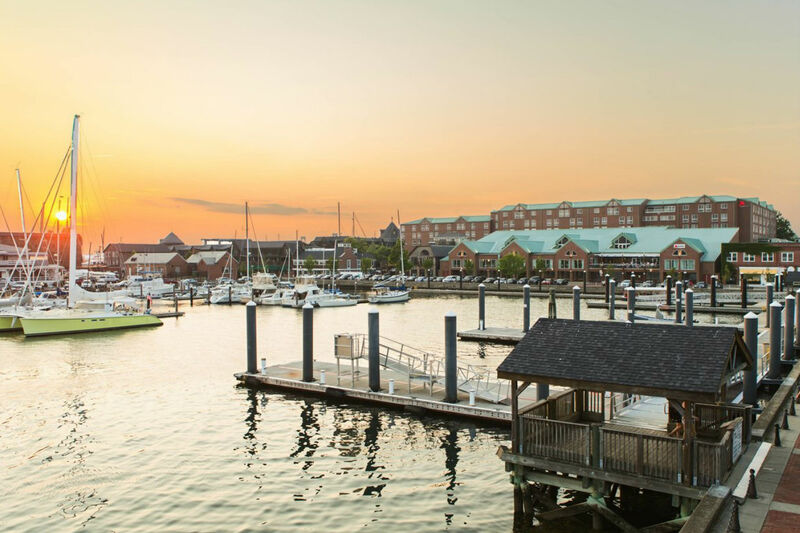 Your bed is always nearby at this primely located Marriott with a nautical theme that’s walking distance from the wharf and all of downtown. Rooms feature walk-in waterfall-style showers and, before you head out for the evening, a second-floor bar has walls of windows with harbor views. 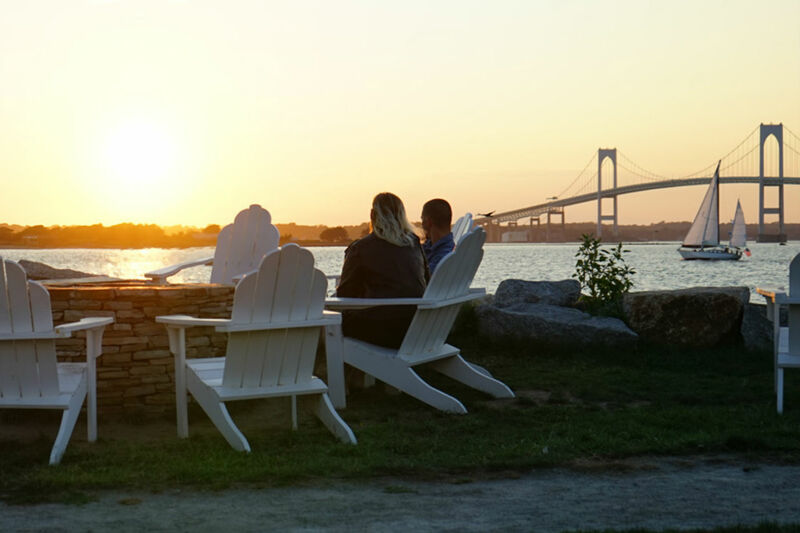 If you came to Newport to eat oysters on a half shell alongside the harbor, make a reservation and do just that at Clarke Cooke House, a downtown establishment housed in an 18th-century building, favored by locals, sailors, and visitors alike. It’s spread across three levels but in the bistro, you’ll find wicker furniture, America’s Cup prints, and a fireplace. After dinner, stroll the 20 different shops and galleries of lit up Bannister’s Wharf. You might have to wait in line for breakfast at Meg’s Aussie Milk Bar, a cafe that packs people in at wooden tables and high tops, and has little bare-wall space (most of it’s covered in colorful Australian paintings, mementos, and art). But the food—a bacon, egg, and cheese on a bulky roll or avocado smash—is just as good as the ambiance. Order the Aussie iced coffee (iced coffee with ice cream). Tour the nearby Tennis Hall of Fame, with its pristine grounds and historic grass courts. Sardella’s was founded by a former Newport mayor in 1980 and ever since it’s been serving up Northern and Southern Italian dishes under its red awning on Memorial Boulevard. It’s a large space with multiple rooms—some decorated with oak paneling, others with stained glass windows. Request a seat by the fireplace in the winter, or sit outside in the summer months. Grab a coffee at Coffee Grinder at the very end of Bannister’s Wharf. It’s a tiny, bring-you-back-in-time espresso bar where people read real newspapers and look out at the harbor. Then, drive the five miles to the expansive 325-acre Norman Bird Sanctuary, where trails stay open year-round. If you time it right, you can join in on a free guided bird walk. If not, head out on your own toward Hanging Rock, where you’ll find views of popular Second Beach—and maybe some brave surfers catching winter swell. 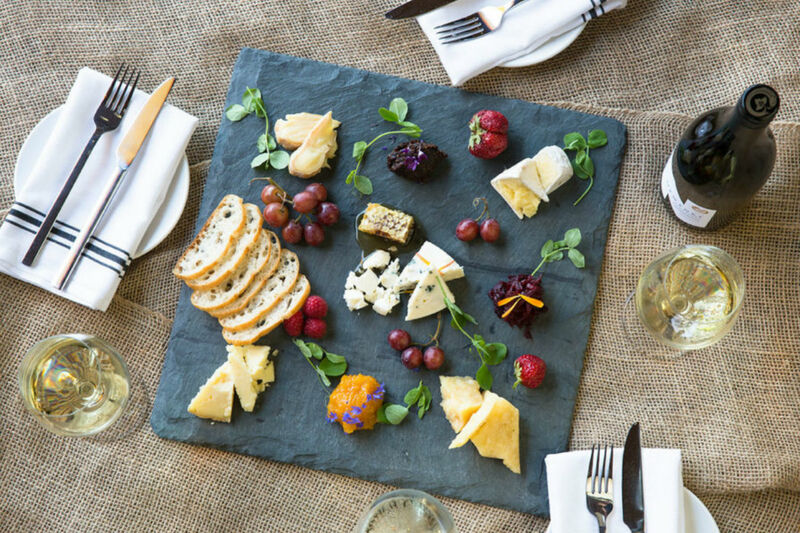 Not far away, 60-acre Newport Vineyards has a taproom overlooking the vines, where you can sip wine, local beer, and snack on cheese or housemade pretzels. There’s even live music every Saturday in November. Upstairs, the restaurant has a totally from-scratch menu if you want to stay for dinner. White Horse Tavern is the oldest tavern in America (it opened in 1673). Stay for just a drink (like the pirates used to do) or dinner—the restaurant’s menu features fresh clams and lobsters from the nearby Narragansett Bay and they work closely with local Rhode Island farms. The Dark and Stormy is the drink to order. 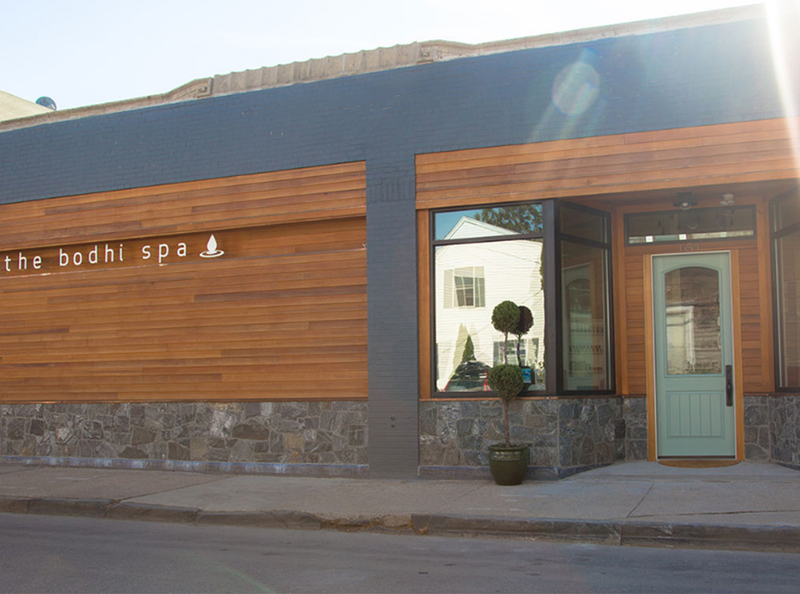 It might not be Icelandic hot springs, but toward the end of Thames Street, Bodhi Spa has a 104-degree Epsom salt pool, a mineral-rich dead salt pool, an infrared sauna, plus steam rooms, and, if you can stomach it, a 55-degree cold plunge. That’ll only cost you $27.50, too—plushy robe and sandals, to boot—and you can stay as long as you want. On your way, stop at no-frills Mokka Coffeehouse for an espresso or breakfast sandwich to go. Armory Antique Marketplace, which houses 100,000+ items from glassware and artwork or furniture and sports memorabilia, is located on the other side of Thames on your way back into town. For lesser prizes, stop in at Ryan Amusements game room, a downtown arcade full of old-school games. On your way out of town, sit by the fire at The Chanler at Cliff Walk, a mansion on the Cliff Walk where the waves crash below. Consider it the winterized version of actually walking the area.